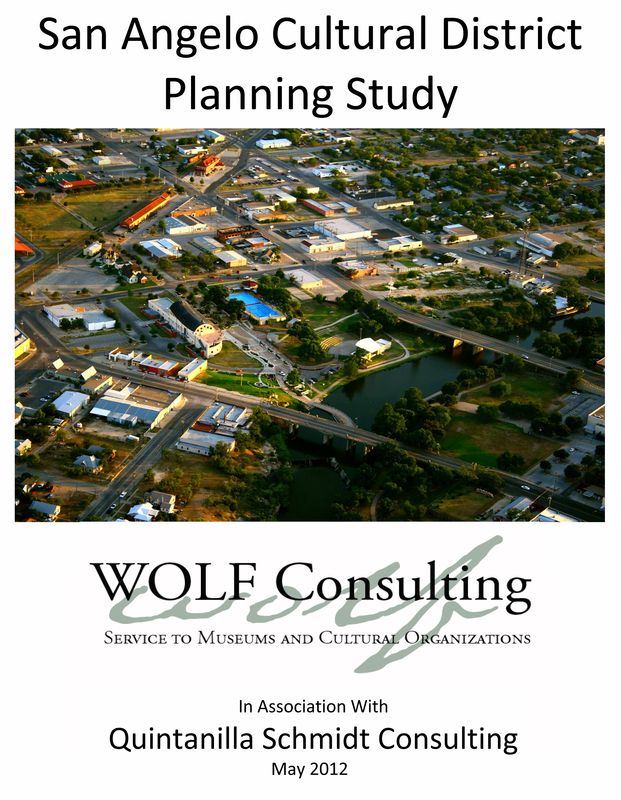 In 2009, under the leadership of the San Angelo Museum of Fine Arts (SAMFA) and a large Steering Committee of City and Community stakeholders, a proposal was developed to seek Cultural District designation from the Texas Commission on the Arts. The proposal was endorsed by both the City of San Angelo and Tom Green County, and was granted as the San Angelo Historic City Center Cultural District that same year. Although initially planned to include roughly 100 acres, it was later doubled to include two nearby residential neighborhoods (Figure 1). This was done at the request of the San Angelo Health Foundation with the approval of the Texas Commission on the Arts. To print or read the full planning study, click HERE.